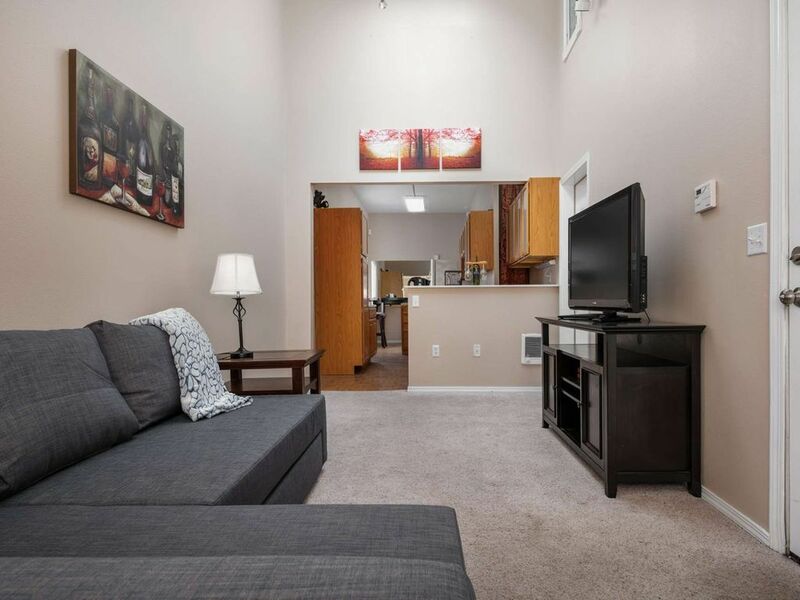 Enjoy this one bedroom retreat that is nestled in the northwest area of Newberg. Sitting just one mile from George Fox Univeristy and downtown Newberg you are close to shopping, wine tasting, and so much more. This property is perfect for solo travelers, couples, or small families to enjoy and explore the region. The retreat is an addition to a larger home with its own private entrance and parking. It sits in a quiet residential neighborhood and is a great spot to unwind and relax. The sofa folds out into a bed as well that works great for kids or young adults. There are hundreds of vineyards within 20 miles so if enjoy the incredible Pinot Noir, Chardonnay, and other varietals the Willamette Valley region offers this would make a great location to base your tasting out of. Please don't hesitate to reach out if you have any questions at all. Unfortunately I had to cancel. I would have loved to just changed to another weekend but it is a very popular space. The owner was kind and understanding about my cancellation. We stayed for 4 nights. Nice location to downtown. Lots of space. The couch is hard so if you’re sleeping more than just in the bed, it isn’t too comfortable. Otherwise a fabulous stay and will definitely stay again! We had a wonderful visit. The area is spacious with a full kitchen. The bedroom has a little space off to the side that was perfect for my son’s pack n play. We will definilty stay again! Spent two nights here with my daughter who was visiting a nearby university. Home owner was gracious and the space was great for the two of us. Located in a subdivision, it is a short drive to the center of town, and a quiet neighborhood. My experience would've been so much better if I was a couple or if I was working a day job. I worked nights and this place has so much natural light. It would be nice to have some blackout curtains. Also if you happen to work nights remember the family has little kids and make sure you lock your door. Over all great place for a couple looking for a weekend getaway tasting wine. I had a great stay in Newberg at Prospect Place. Location was great and within minutes of everything! I was staying with my son for a college visit and the location was only a minute from the campus. The house was quiet, clean and had everything you needed. I was in need of extra blankets and they were delivered within a few hours. Thanks for a nice weekend!